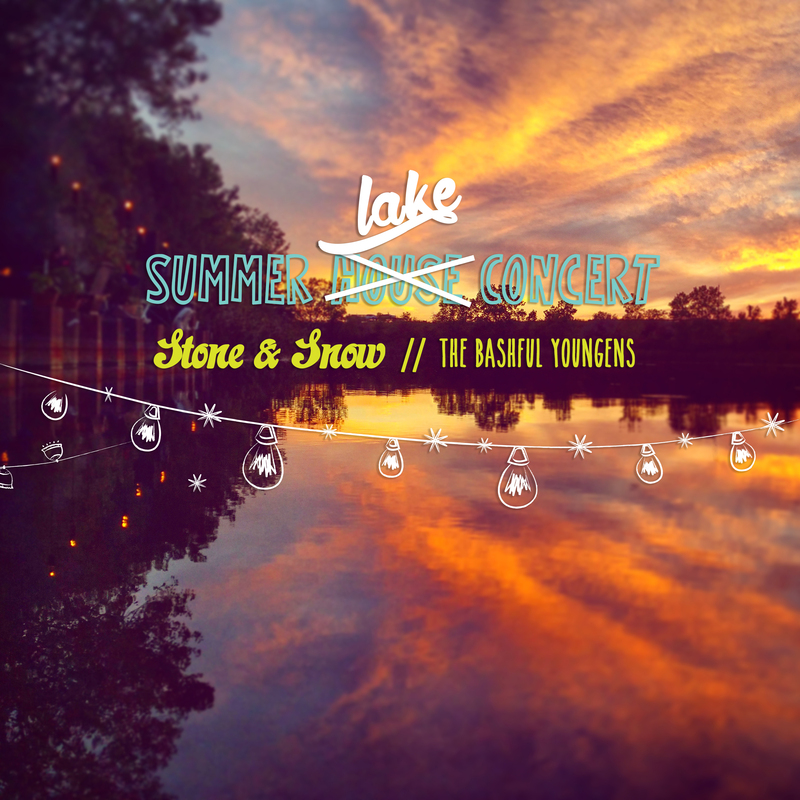 Summer Lake Concert Aug 19th! Join us on the shores of a private lake in Bloomington, Illinois on Sat, Aug 19th for a full band show with special guests, The Bashful Youngens! Doors open at 5pm, show starts at 6. Concert limited to 50 guests! Bring your own beverages/picnic and watch the sunset over the lake! Address to property will be provided after ticket purchase. Concert is rain or shine, with performance in a barn on the property in the event of inclement weather.